This coffee will be fresh roasted for you. We expect Tandem Coffee Roasters will roast and ship this coffee in 1-2 business days depending on their roasting schedule. 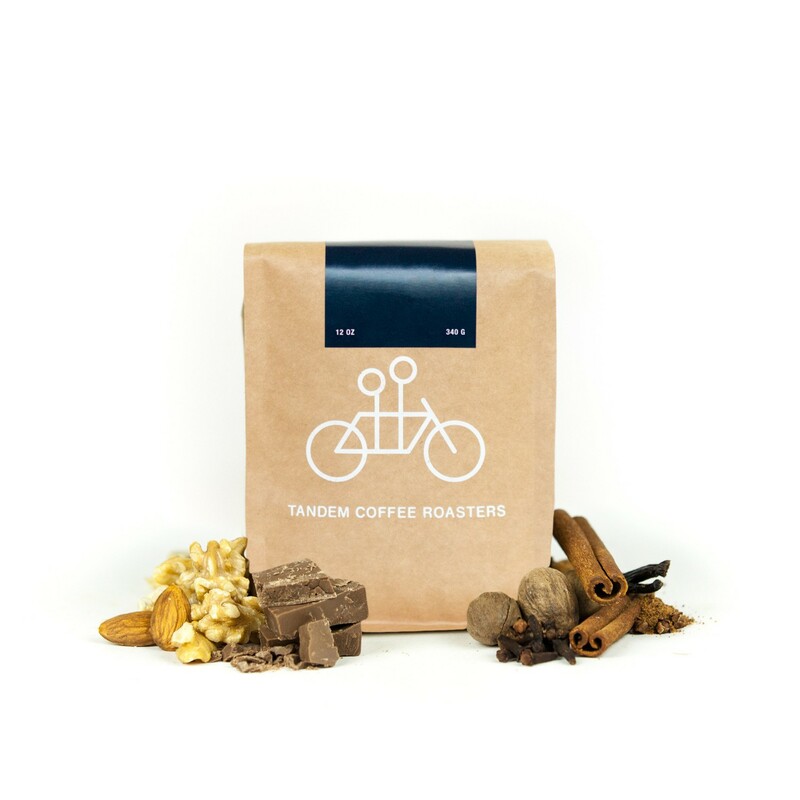 The West End Blues Blend was blended and roasted for you by Tandem Coffee Roasters. The West End Blues Blend is constantly changing components with fresh, seasonal coffees. It is currently comprised of coffees from Ethiopia, Brazil, and Colombia. Delicious on its own or paired with milk, this coffee has rich notes of toffee and roasted nuts. Good flavor, well-balanced. One of my favorites and running out early! Best blend I've received so far. Well balanced with no bitterness. This is a really good coffee. There is no real reason that I've not given it 5 stars except that there are others I like more. This is a solid coffee, and if it is the only coffee I ever had again, I'd still be very happy. Too twangy,,, the fruity acidic flavors really predominate. Pretty good - neither life-changing nor marginal. Glad i tried it. Thin, not very present. I don't want to completely discount this coffee, it was just older than a week when I received it. This blend was awesome in that it was reliably full-bodied and interesting in the different tastes that were emphasized based on brewing method. This blend is truly complex with a richness in mouthfeel, aromatics, and all-over profile. Its sweet and spice flavors are perfect for the fall season, but it is robust enough to be enjoyed year-round. This is one of the best espresso blends I've tasted across the country. I enjoyed this better than the Colombia San Antonio. As a reference, I brew espresso 85% of the time using a Breville Infuser espresso machine. The other 15% of the time I use a Kalita Wave pour over. Thanks, Seth!